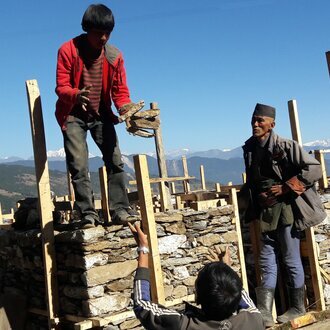 The 2015 earthquake shook the foundation of rural livelihoods: agriculture. 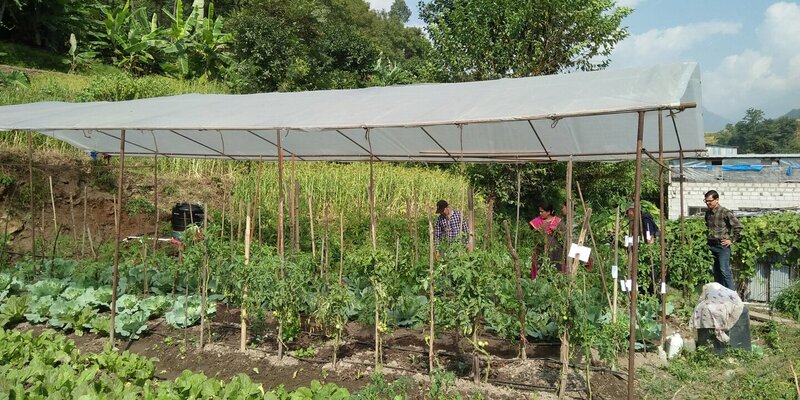 The Recovery of Agricultural Livelihoods (ReAL) Project focuses on supporting poor and vulnerable households to re — establish and improve their farming practices in the municipalities of Melamchi and Helambu. This project is a Swiss Solidarity mandate. The ReAL project began in August 2016, and supports farmers to enhance their agricultural productivity and gain better market prices for their crops. Water mills, a widely used means of processing locally grown grains, have been renovated. A newly built Agricultural Service Centre now offers farmers advice and inputs, backed by the services of cooperatives, agro-vets and agriculture technicians. Without a reliable water supply, at best one crop per year can be grown during the rainy season. Irrigation allows the possibility of two or even three crops per year. 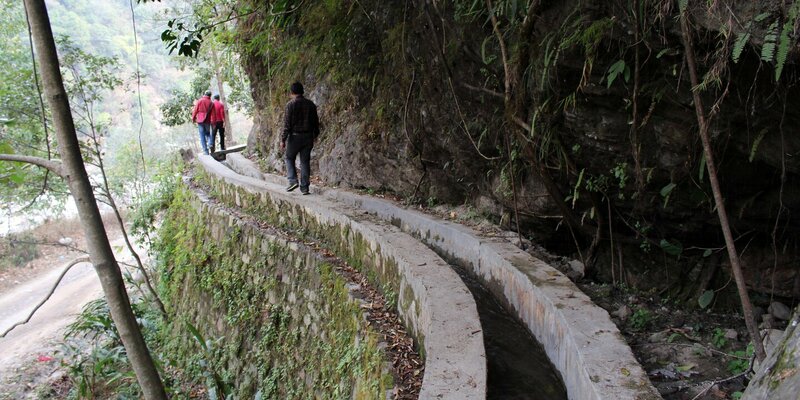 The earthquake and subsequent landslides destroyed many small, traditional irrigation schemes. Helvetas is working with the farmers reliant on these irrigation schemes to return them to working order. This is not only a matter of repairing the physical damage. Each repaired irrigation scheme is now managed by a User Group, headed by a representative committee of women and men who have been trained in maintenance techniques, and who oversee the equitable distribution of water. Grinding grain into flour is a time-consuming, gruelling task, generally conducted by women. Water mills are a traditional means of grinding grain that reduces this workload. 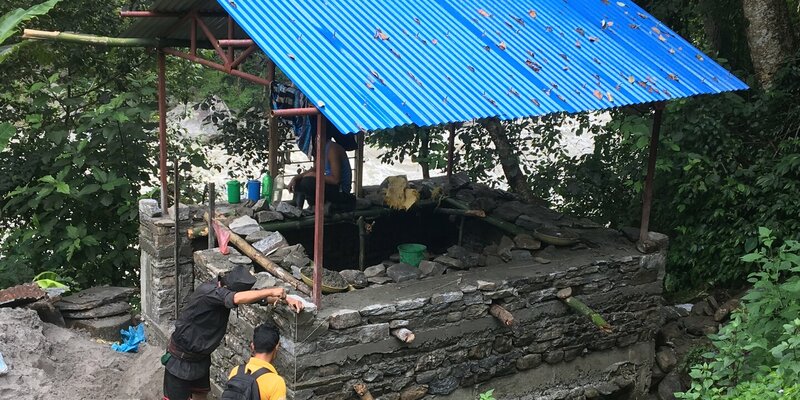 In Melamchi and Helambu they are mainly privately owned; community members pay a small fee for their use. Helvetas has worked with the owners of destroyed water mills to restore them to working order – giving priority to mills owned by women. Of the 25 restored, 13 are registered in the name of women. A conditionality of support is that poor and disadvantaged community members can grind their grain for no or minimal cost. Next to each mill, a toilet is built for use by those waiting to grind their grain. View map and fact sheet of all 25 water mills rehabilitated after an earthquake 2015. Close to the small town of Melamchi, a new two storey agricultural service centre has been built. Here farmers can come if they require advice on what crop varieties to grow, what treatment to use to combat a particular pest or disease, or what crops are most demanded in the market. The advice they receive is backed by local government extension workers, eight cooperatives, and eight agrovets – local resource persons supplying advice and inputs.